As new agriculture entrepreneurs consider producing and marketing food products and current producers seek new markets, they need to conduct preliminary research to determine if there are rules, regulations, certifications, or licenses required for their product or selected market. 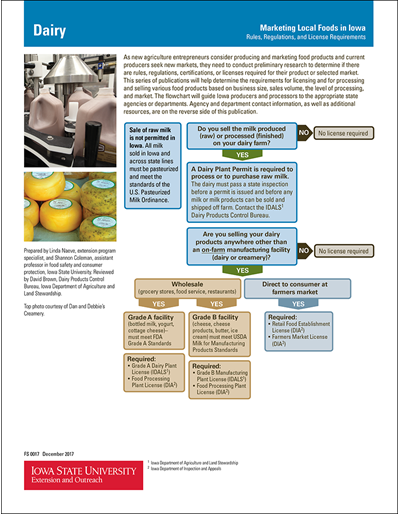 This publication will help determine the requirements for processing and selling dairy products. The included flowchart will guide Iowa producers and processors to the appropriate state agencies or departments.